I love having a front porch in our new home. My husband and I have lived in 5 different dwellings in the 5 years of our marriage, and our current house is the only one with a front porch. Now that the weather is warming up, my mind is spinning in ideas to add character and charm to the first place that greats everyone walking into our home. For the next several posts, I will be sharing different ideas and my favorites items for any porch. Make sure to subscribe so that you’ll receive each installment of my Porch Refresh Series! To kick off the series, I want to share the best front porch inspirations I could find to get your creative porch juices flowing (not as gross as it sounds). Before you start buying anything, you first want to come up with an overall design scheme. Are you wanting a modern farmhouse, bohemian, bold and bright, or a classic charming vibe for your porch? The design you choose can often reflect what’s through your front door, so consider a design that will flow with your interior. What’s your style preference? 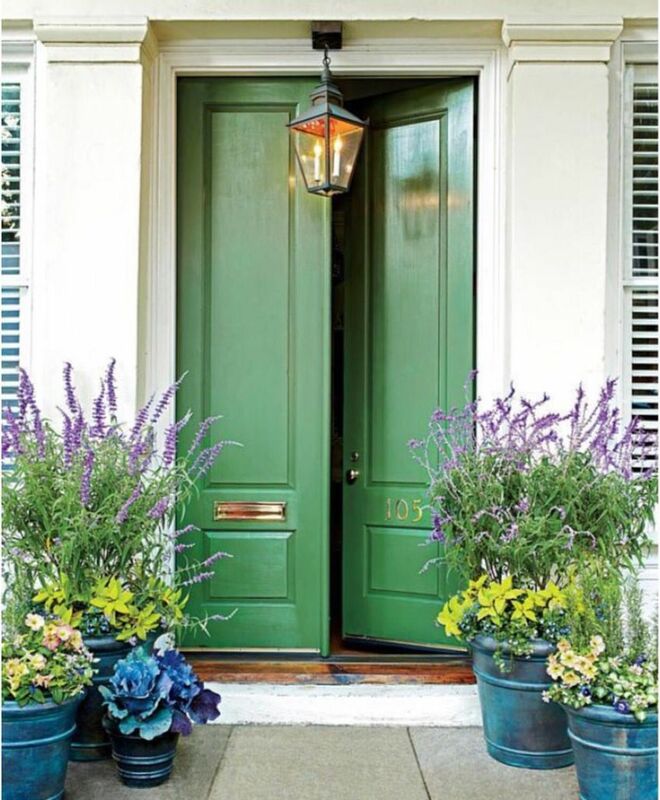 I badly want to claim a Bohemian style, but when it comes to front porches, my comfort zone is more of the classic charm with a modern farmhouse mix. For the next few installments of the Porch Refresh Series, I’ll be sharing all of my favorite finds and easy ideas to achieve a classic charming modern farmhouse (that’s a mouth full!) front porch that won’t take all your pennies! Make sure to subscribe or follow me on Instagram or Facebook so that you can following along! I love the boho styled porches with the plants, rugs, and large seating areas. Thanks for sharing!